These are my live blogged notes from ASTD Learn Now Session with Conrad Gottfredson and Bob Mosher of Ontuitive (formerly LearningGuide Solutions). I am a co-facilitator for this 1.5 day conference, along with Bob, Conrad, and Chad Udell of Float Learning. About 55 learning colleagues gathered here at the lovely Hilton in San Francisco. Training is good and New and More. Getting them started, keeping them going. Need to help them CHANGE and SOLVE. This is part of the APPLY world. Throw out the word “informal learning” – try to get the CFO to pay for informal learning. Instead, let’s shift to the word “performer support” – that’s a defined, measurable word. Note that it’s “performer” and not “performance” – it’s more human. Performance support is the enabler, the solution that we build. 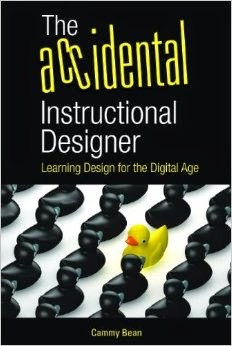 The new challenge of learning = knowledge aggregation. In today’s world we’ve got too much knowledge and info. We’ve got access to more than enough stuff. We live in a world of abundance. (In the olden days, you needed the expert up there to get it out to the people). We have been in a pile on mode for 20 years. Which of these five moments of need does your organization address thoroughly? We have been blending training, not blending learning. Most of us have structural frameworks to do #1 and #2…we haven’t had methodologies for 3, 4, and 5…. 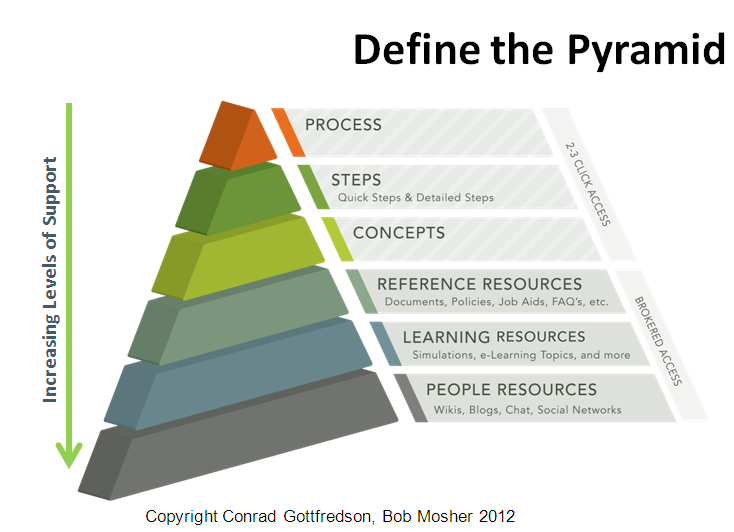 The pyramid – the learner sits at the top at the moment of need. At the top: process, steps, concepts. (2 clicks, 10 seconds -- people will take bad stuff fast over good stuff that's hard to find. We need to get people to the right things quickly). Bob now demos a LearningGuide built into a Salesforce.com implementation. 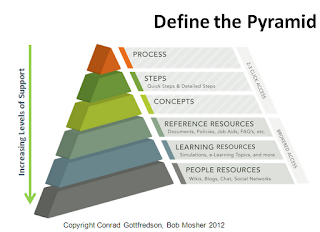 On a page, you click a LearningGuide button -- it brings up a whole list or links and info for the entire pyramid. It's context sensitive. Can do this same thing for a soft skill process -- Bob shows a graphical dashboard for a job requisition process. Each step of the hiring process is shown and you can click down to find the steps/tasks/training resources (they pyramid) etc. This type of system can sit on top of an LMS. So you can do tracking. We overteach. Let's stop doing that. We don't have the time anymore.